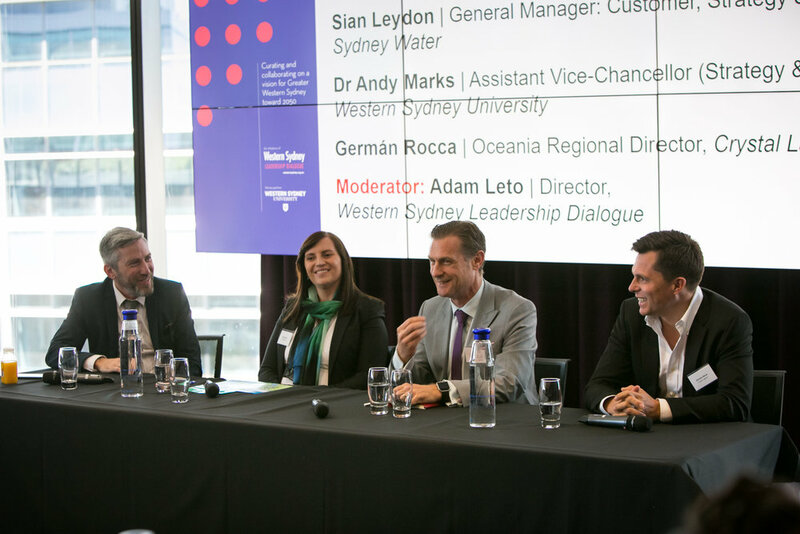 The Future Forum series is an initiative of the Western Sydney Leadership Dialogue (the Dialogue) to bring together a cohort of big thinkers to discuss issues affecting our growth cities of the West. 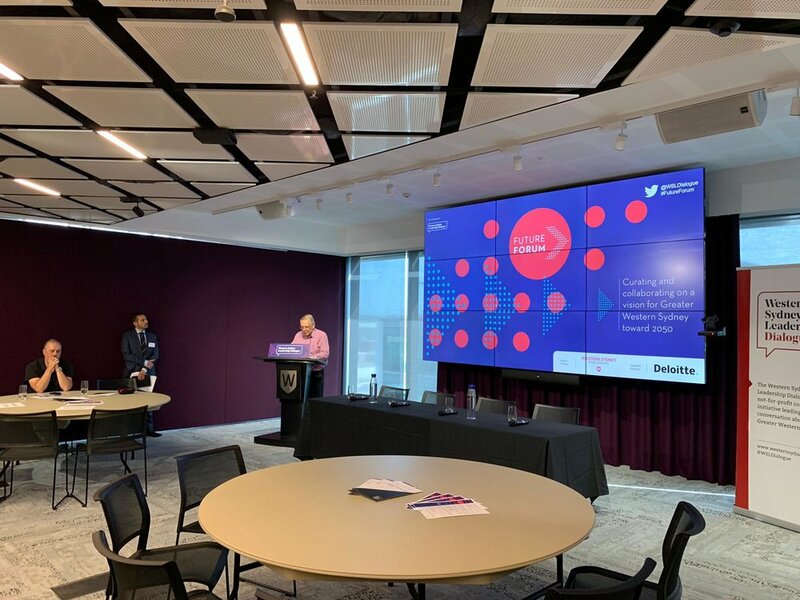 The fifth Future Forum was held on Friday 1 March 2019 at the Peter Shergold Building, Parramatta CBD Campus, Western Sydney University, ‘Understanding and addressing the cost of poor health and social disadvantage in Greater Western Sydney.’ Below you can find a copy of the post-event wrap as well as slides from presentations on the day. 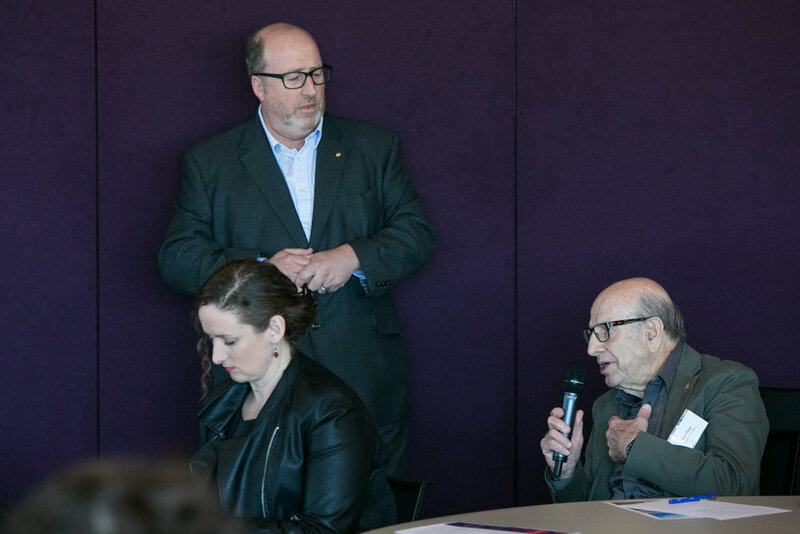 Our fourth Future Forum examined the importance of Community Infrastructure and how we can unlock and leverage local investment to support the changing needs of Greater Western Sydney. Federal & State governments are responsible for the delivery of major infrastructure such as airports, stadia, motorways, museums, hospitals, universities, national parks, power lines, dams and railways. 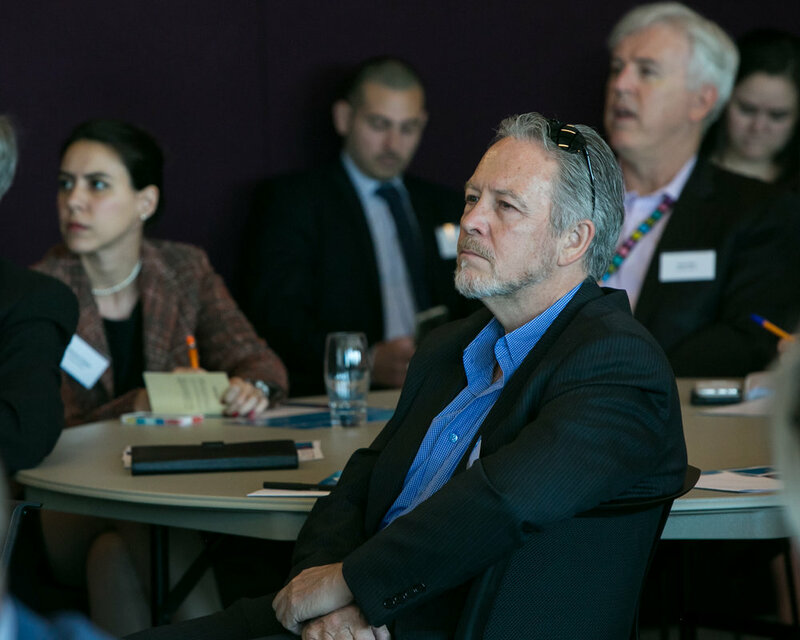 However, at this Future Forum, we will focus on the smaller, local projects that drive our communities such as pools, hotels, aged care facilities, theatres, public art, men's sheds, sporting fields, children's playgrounds, community gardens, bike paths, libraries, soup kitchens and parklands - which are the domain of local Councils, private developers, registered clubs, faith-based groups and community organisations. The video of Western Sydney Performing Arts Centre is available to view here, while the Flinders Centre’s video will be available to be viewed here. 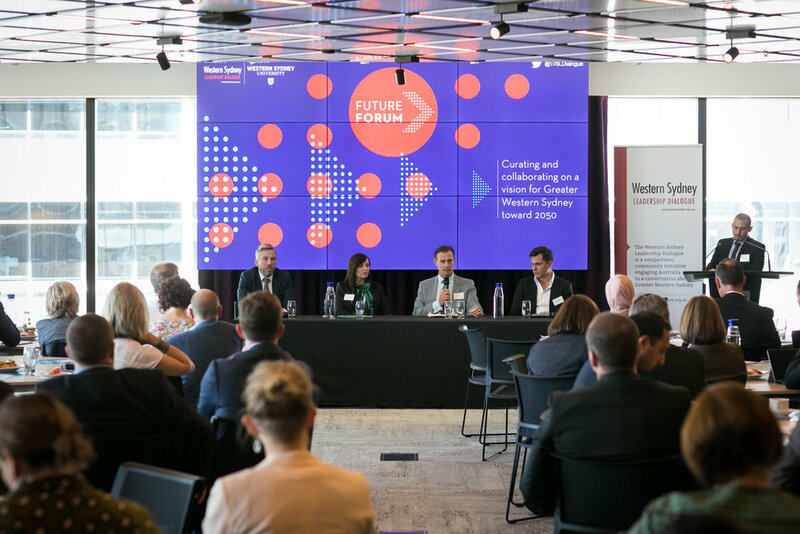 The third Future Forum was held on Thursday 9 August 2018 at the Parramatta CBD Campus, Western Sydney University, and discussed the importance of government, universities & TAFE, hospitals & medical research and industry partners working together to ensure they provide world-class facilities, deliver strong social and economic outcomes and are positioned to attract and retain investment and talent. 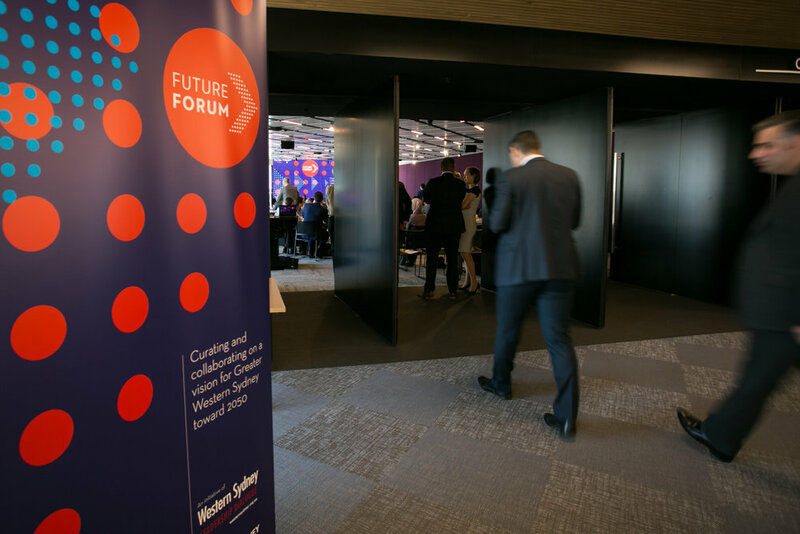 The second Future Forum was held on Friday, 16th March, and explored how a new, effective governance model can positively impact the delivery of major projects, and how we can improve collaboration and coordination between all levels of government and state agencies. 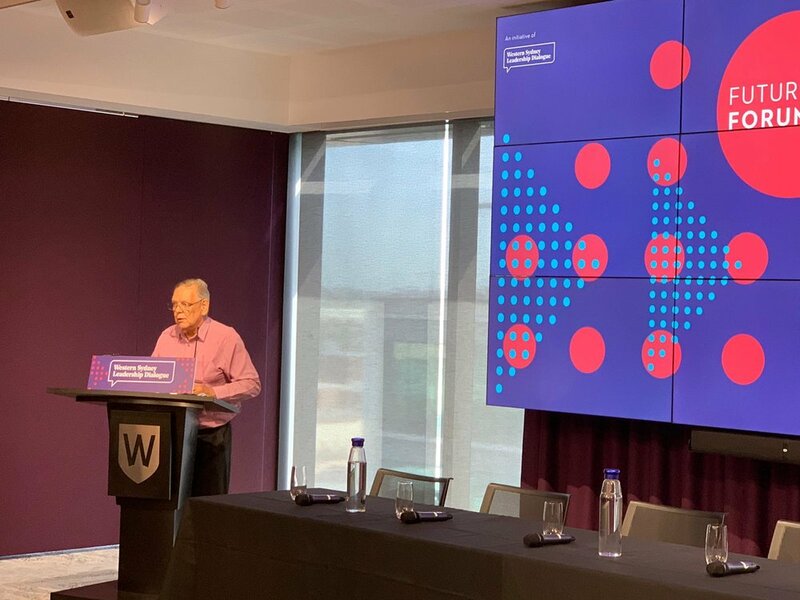 The event was kicked off by Greater Sydney Commission Deputy Chief Commissioner, Geoff Roberts with a keynote presentation on how we move from planning to implementation, with major long-term plans from the GSC, Transport for NSW and Infrastructure NSW due to be published in the coming weeks. 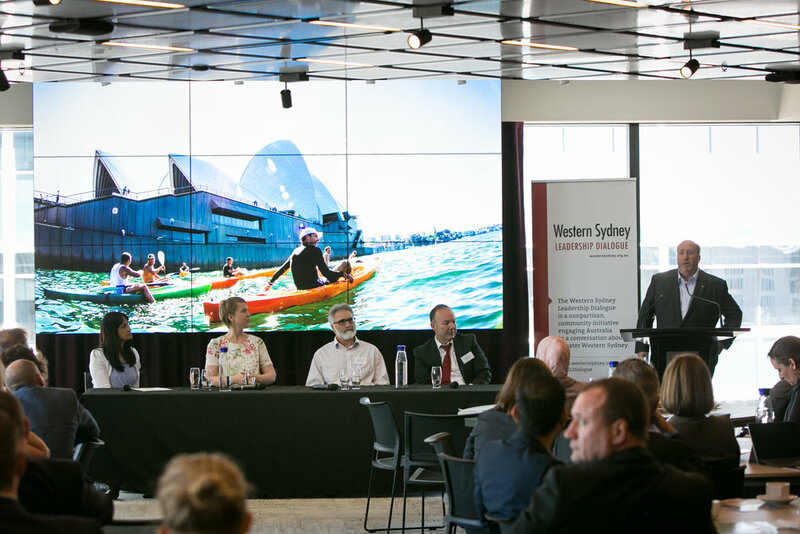 The Western Sydney City Deal is derived from this extensive long-term planning in Greater Western Sydney, and Geoff outlined some of the challenges involved in negotiating the Deal, and the significant task in delivering it. He provided details of the governance structure for the Deal going forward, including the designated leadership, implementation, coordination and delivery bodies for different elements of the Deal. This was followed by a discussion between Western Sydney Leadership Dialogue Chairman, Christopher Brown AM and Western Sydney Business Chamber Director, David Borger moderated by Committee for Sydney Chairman, Michael Rose AM, covering the launch of Governance Reform for Growth, a provocative discussion paper developed by The Dialogue and Western Sydney Business Chamber. 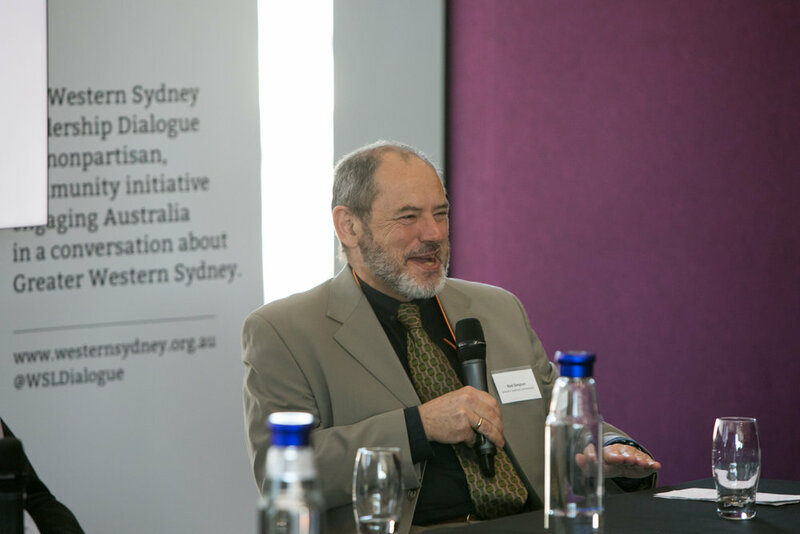 David and Christopher spoke about their paper, which highlights some of the shortcomings of local government, which is often characterised by unproductive leadership, and the opportunity for Western Sydney to be an incubator of good governance, with the City Deal an ideal building block for this to occur. More effort towards genuine local government reform was needed, they argued, which should include skills development for councillors to be empowered and encouraged to act more like Board Directors and an environment created where General Managers are treated more like a CEO, with less politicisation of their tenure. Both agreed that major political parties, as the primary talent pools for civic leadership, must shoulder a lot of the blame for the problems in local government. 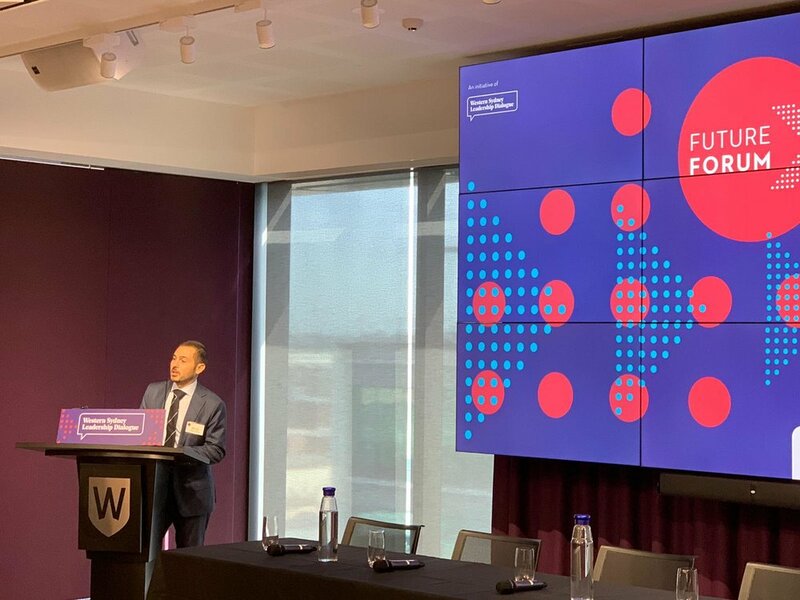 Other key recommendations call for a City of Parramatta Act to couple the billions of dollars being invested in the city’s second CBD and for the GSC to remain as our long-term planning coordinator, and importantly, that it report to Premier moving forward. 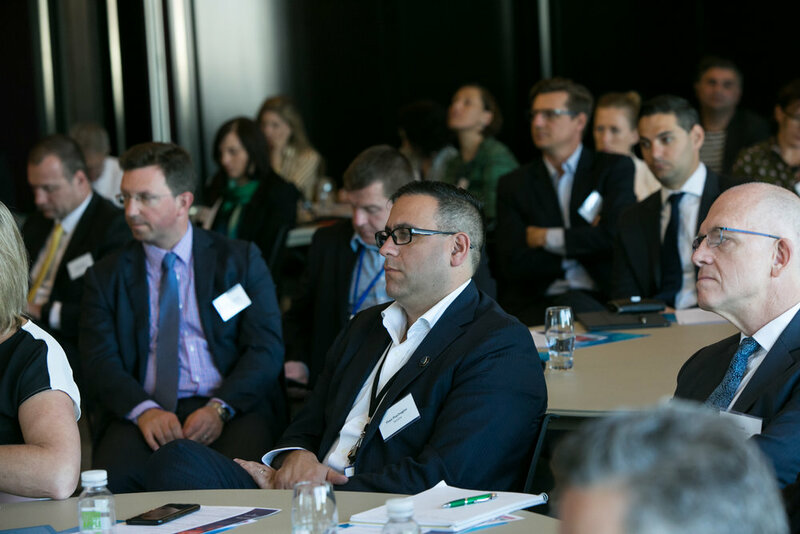 The first of two panel discussions, moderated by AECOM Western Sydney Director, Justine Kinch looked at improving cross-government and industry collaboration. 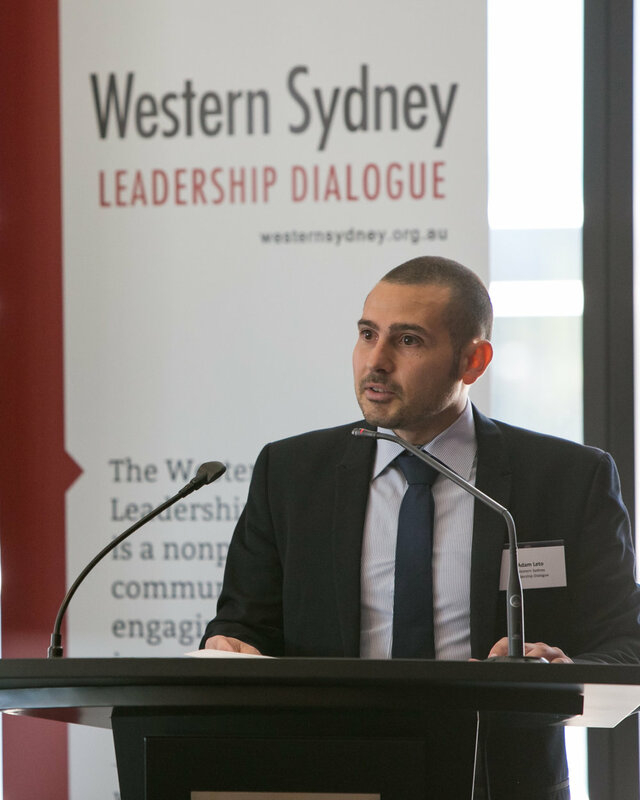 The discussion highlighted how Western Sydney was in many respects on the right path towards managing its growth in a considered and well-governed way but faced a considerable challenge in funding. 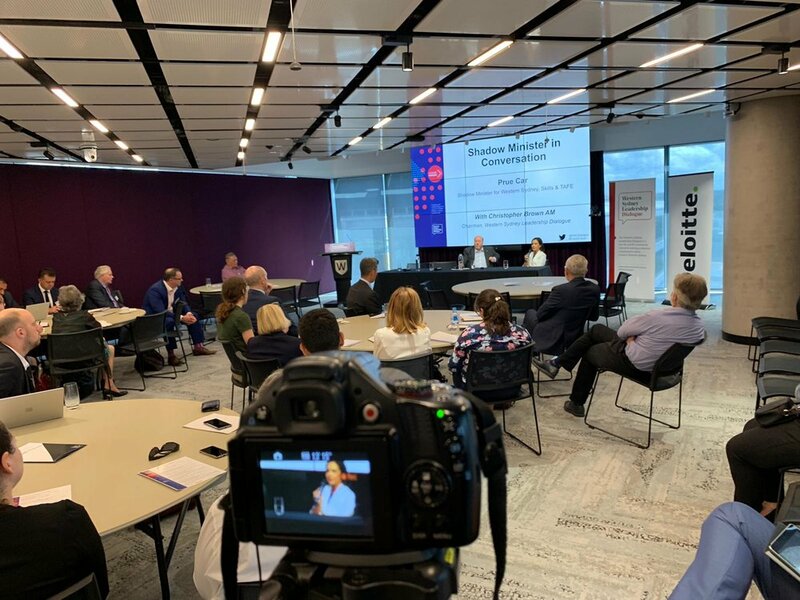 Panellists also discussed the importance for local government to earn its social license to operate and deliver on long term planning, noting that detailed long-term planning was essential to bring the community and private sector along on the growth journey. 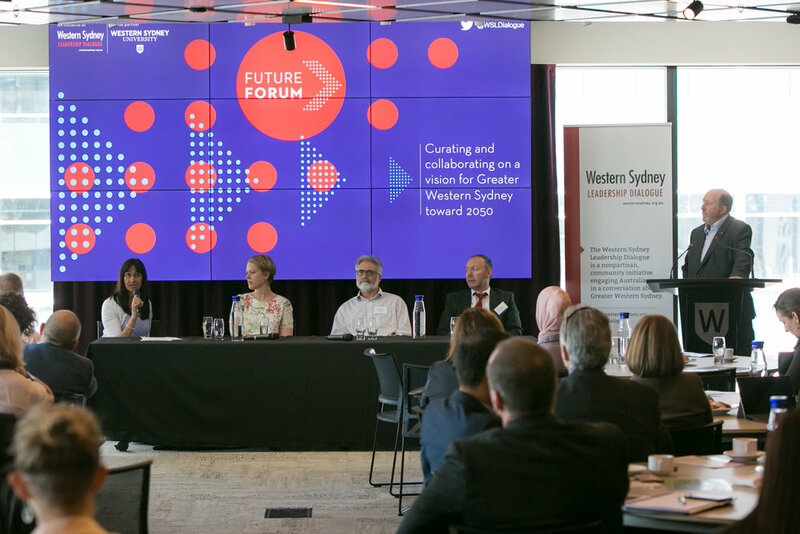 The final panel discussion for the day examined the future of local government and was moderated by Western Sydney University Vice Chancellor – Strategy & Policy, Dr Andy Marks. 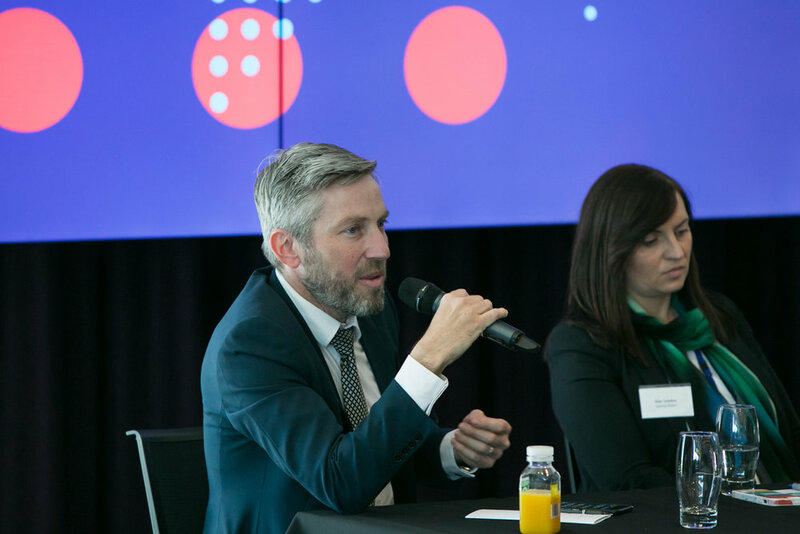 Panellists discussed the cross-regional collaboration involved in the City Deal, and the potential for councils to be more open-minded and imaginative in service their communities. 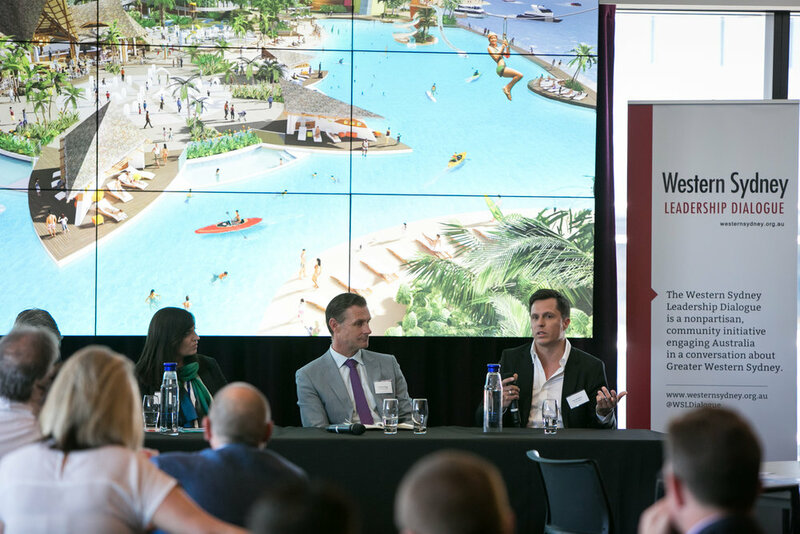 The importance of long-term planning was again reinforced, in particular with regards to creating place and amenity to make Western Sydney’s cities more attractive places to live and work. 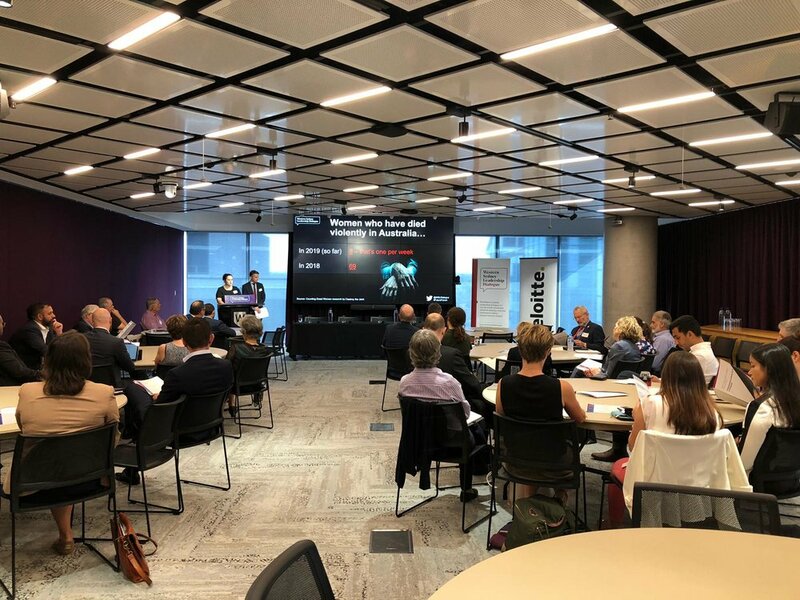 On Tuesday, 26th September, the first Future Forum was held in the Peter Shergold Building of the Western Sydney University, Parramatta City Campus.